Revolutionary varifocals providing total visual freedom – seeing is believing! These are the things that drive us. It’s why we invest in hospital-quality equipment. It’s why all our tests are carried out by qualified, experienced staff. It’s why our standard eye tests are 40 minutes, not 20. Because your eyesight deserves to be looked after properly. "Extremely thorough - More so than I've experienced in the past. Evening appointments are a Godsend. The service was Speedy, Efficient and Friendly." 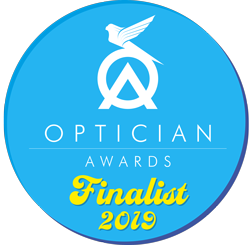 "I have attended Kings Hill Opticians over the past five years for regular eye tests, comprehensive examinations, general advice and suitable eyewear As a professional and well established practice they have provided an outstanding service in terms of competence, quality, value and exceptional customer care and I commend them to anyone seeking the very best optical services available." "I recently went for my eye test which I do every 2 years. I had noticed getting weaker eyes. After a thorough examination, I found out that my previous glasses (bought online) was causing me issues. I was introduced to 2 new coatings for my new glasses which I got from Kings Hill Opticians. they recommended coating the lenses with a new Things called Crizal and Eyezen both of them help me tremendously with using a PC and Tablet daily in my work I noticed a massive difference and I'm not even getting tired eyes either. I will continue to use Kings Hill Opticians and can't recommend them highly enough ." "Incredibly impressed with the opticians. My husband needed glasses for reading and computer work and they provided the whole service from initial eye test through to providing advice about selecting the frames and the specific glass options. They made a special effort to ensure the glasses were available at short notice. We expected it to take about a week to receive the glasses but they phoned us only 2 days later to let us know they were ready for collection. Friendly staff who were very helpful. Excellent service all round and we will definitely continue to use them in the future."